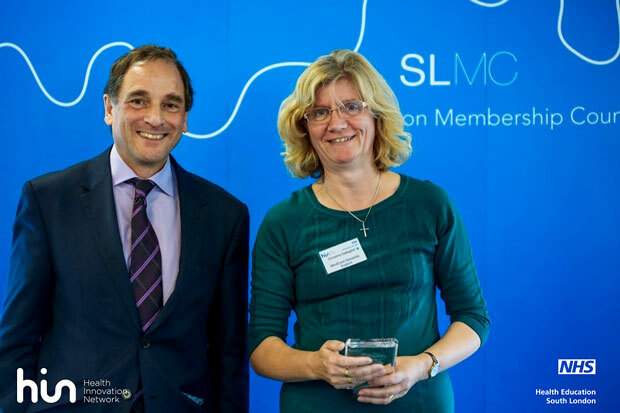 The Bromley MindCare Dementia Skills Team were recognised with an award from Health Innovation Network (NHS Health Education South London) in October 2014. MindCare Dementia Skills Manager, Christine, collected an award for Partnerships and Innovation, Patients and Public for their work supporting Bromley dementia carers. communicating effectively with someone with dementia. 100% said they would be able to offer enhanced support offered to their relative, with 57% reporting a significant improvement. the ability of the Dementia Skills coaches at Bromley MindCare to adapt their materials and delivery to the needs of the particular carer they are working with. Congratulations to Christine and Philippa of the Bromley MindCare Dementia Skills team.